Online Data Centre Courses: You chose when and where to learn. Learn How, When and Where you want to. Internationally recognised Certified Data Centre Courses written and delivered by Experts. 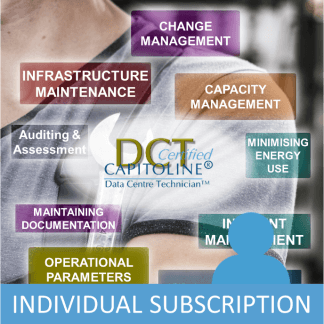 Capitoline wrote the first data centre course in the world and have been delivering courses to thousands of students ever since. You can learn wherever you want to with our Online Data Centre Training Courses. All you need is a PC, Tablet, or Smart Phone with a modern browser and an internet connection. If you prefer you can book Classroom Data Centre Training Courses and benefit from class exercises and interactive discussions with the instructor and your peers. As a classroom student you will get free access to the equivalent online course for one year. If you need something different then let us create it for you. Whether you need a one off Custom Data Centre Workshop or an ongoing Bespoke Corporate Training Programme for your employees we will develop and deliver this for you online or in the classroom. On all of our courses you will benefit from the knowledge of our expert Data Centre Training Instructors who are also experienced data centre consultants. 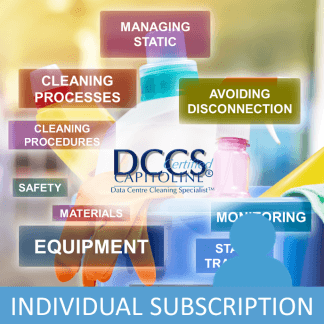 As a courses subscriber you can Ask the Instructors questions and review all your previous questions and the Instructors answers under your account. If you are a Manager or a Human Resource professional you may want to book for a group of individuals. No problem! You can book Online Courses for a group, Classroom Courses for a group, OnSite Courses for a group, a Data Centre Surgery for a group or arrange Bespoke Corporate Training. As Group Leader of an online course group you can monitor the progress of your group members and see when they complete lessons, courses, quizzes, and course exams. With our online data centre training you choose where you learn, at home, in the office, on holiday, it’s up to you. All you need is an internet connection a PC, Tablet or Phone. You decide the pace at which you learn so you can study when it is convenient for you. If you get interrupted just start again from where you you left off. You do not need to put aside fixed days to attend a classroom. You may be learning by yourself but you are not alone. If you have a question you can ask our instructors. We have made the online data centre training material as clear as possible. Each point is explained using clear graphics or photographs with a clear English narrative and detailed notes. We know that you will have questions and our instructors will answer them. All students can communicate with our instructors during the course. If there are specific points you want to remember then make a note and come back to it whenever you need to. You can add notes at any time. You can also view your course notes from the course lesson where you made them or view all your course notes together. Each of our instructors has over 30 year’s experience. They have audited hundreds of data centres and designed many new data centre facilities. Furthermore they have improved data centre operations for many customers and will share their knowledge with you. We have helped thousands of people to understand data centres better. We think we are the best but don’t take our word for it, read what our students have to say. 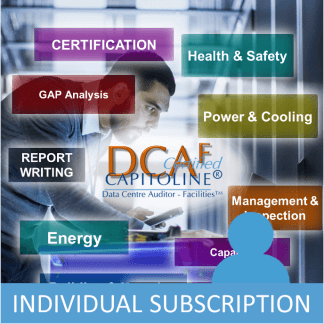 Get a Certified Data Centre Qualification and prove it ! Our data centre courses are fully certified and independently assessed. Each student receives a certificate after passing the online exam. With your certificate you will get a copy of the course logo which you can use to demonstrate your achievement to others. You can include the logo in your email signature. 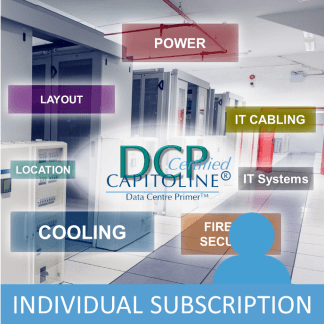 Data Centre Certificates can be checked by contacting Capitoline so the value of your achievement is secured. 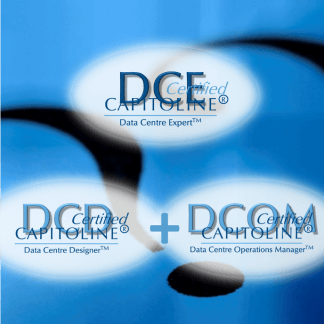 Data Centre Course modules contain graphical presentations and photographs to make learning easier. The modules have clear English narrative if you prefer to listen and comprehensive searchable notes if you wish to read the content. You can manually skip through the material or jump forward and backward, whichever suits you best. The combination of outstanding training material presented in three forms leads to a comprehensive learning experience. Try one of our FREE Data Centre Training modules and find out for yourself. Throughout the course there are mini quizzes to help you to check your understanding and improve the retention of information. If you are unsure whether you’ve understood you can always search for the relevant topic and refresh your understanding. If you’re still unsure you can ask the instructor. Through many years of auditing 100s of data centres and helping clients to improve their infrastructures and data centre operations management processes we have learnt what works and what doesn’t. Many data centre managers only see a few facilites during their career. Our instructors see different facilities every month. We have seen every type of facility across the world from corporate computer rooms to colocation data centres and you benefit from this experience. Very useful to see all aspects of data centre design rather than having knowledge of ones own discipline. Instructors extensive knowledge in DC environment is extremely useful.